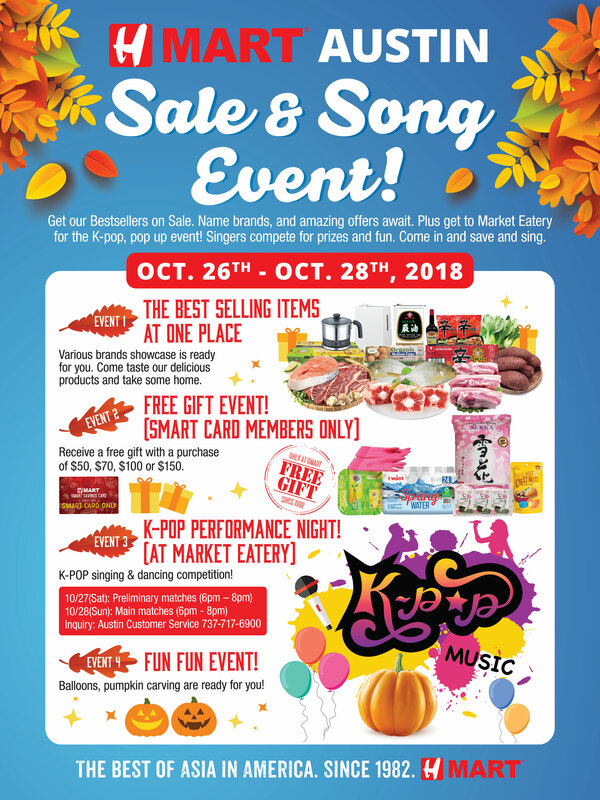 H Mart Austin Sale & Song Event! Delicious food free tasting, big sale, free gift, K-POP performance night and other fun events are ready for you. Come in and enjoy! H마트 오스틴점에서 진행되는 가을 맞이 고객 감사 대잔치! 무료 시식행사, 인기상품 세일, 케이팝 노래 자랑 등 여러 이벤트가 준비되어있습니다. 매장에 방문하셔서 다양한 이벤트를 즐겨보세요!